Man United fans turned on Spanish star Juan Mata for his display for the Red Devils in their embarrassing 1-0 loss to West Brom at Old Trafford on Sunday. The only goal of the game came midway through the second half, as a header from Jay Rodriguez was turned home to give the Baggies one of their only wins of the season. 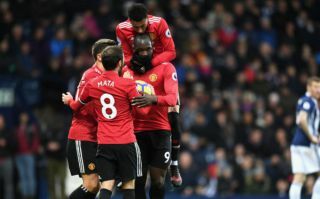 The win meant that United’s fierce rivals Man City were crowned champions, a accolade United snatched away from Pep Guardiola’s side when they beat them 3-2 at the Etihad Stadium last week. During and following the match, fans took to social media to slam the performance of Spanish midfielder Juan Mata, who had a torrid time out their for Jose Mourinho’s side this evening. Here are a few select tweets from fans slating the former Chelsea man for his display against the nearly-relegated Baggies at Old Trafford today. If this isn’t Mata’s last game at United I’m gonna be gutted, nice guy awful player. Juan Mata is NOT united quality. Mata poorest game in a United shirt.